Although it looks like I have added pebbles to this fused glass bowl, it is entirely made of glass. The 'pebbles' are created through a chemical reaction between two glasses. Chunks of glass (known as frit) were originally creamy yellow in colour. By adding powdered glass in a pale coral colour to the frit, at heat the two glasses reacted, creating the grey/brown pebble effect. My river rock bowls, dishes and votives are always a talking point! This piece required two firings in the kiln. The first fused the frit and powder to the clear glass base. On the second firing the glass was placed on top of a ceramic mold, and a combination of heat and gravity meant the glass gently slumped into the mold to create a bowl with sloping sides and small lip. 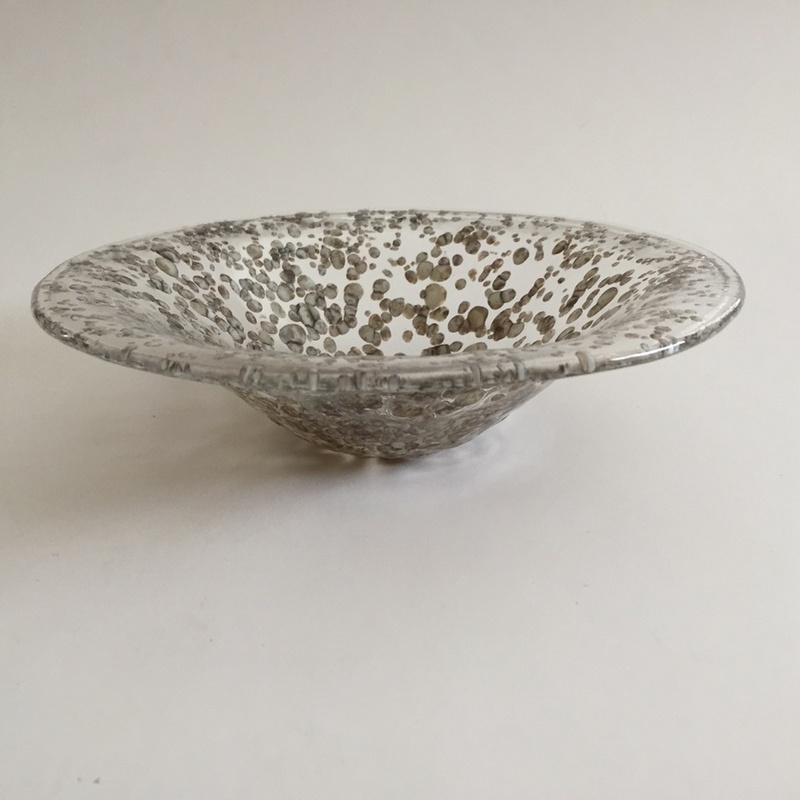 This piece has a diamenter of approximately 40 mm at the base and 185mm across the top. It stands 50mm high.